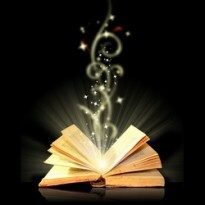 Reading is magical to me...I'd rather read than do almost anything else. Well, ok, there are a few things I'd rather do, but ... you get the picture. I read mostly genre fiction - currently fantasy, thrillers, sic-fi and my newest craze, urban fantasy. I'm a reader - not an author - as you can most likely tell by my love of ellipsis, my inappropriate use of commas, and my current infatuation with en dashes. Deathwish is the 4th book in the urban fantasy Cal & Niko series. I haven’t reviewed books 1 through 3, but will touch on what I thought of them in this review. First of all, the supernatural/otherworldly entities in this world are mostly bizzare, bloodthirsty, and outrageously gross. According to this world, Tolkien and every other fantastical narrator got it wrong, I tell ya, completely wrong. Cal & Niko are brothers who have grown up with pretty much only themselves to depend on. Their dear old mom, Sophia, a woman completely lacking in any maternal instinct whatsoever but with an astounding greed (and no taste) took money to mate with an Auphe. Auphes are ... well, they’re what we’re led to believe are elves, but not of the beautiful-shining-lights-of-perfection variety, but more of the murderous, steel-toothed, red-eyed, ravening sociopathic variety. I pictured them as Gollum, with a slightly larger vocabulary and a very strong penchant for blood, any blood. Auphes were here long before humans, and now mourn the passing of dinosaurs because hunting them was fun. Yeah, no Legolas here. Well, the result of that strange union between Sophia and a random Auphe is Cal. Niko, Cal’s older (by four years) brother ends up raising Cal, loving Cal, and protecting Cal from the monsters who dog their steps through the course of these books. This is a story about family, about brothers, which is a theme I’m starting to realize, that runs throughout Thurman’s books. What a great theme, though. Along the way they pick up a few friends, or, well, less deadly non-humans. One in particular is Rob Fellows, a used car salesman, also known as Robin Goodfellow, Puck, Pan, and a few other assorted ancient names. He’s a marvelous character who can dish the dirt on just about any historical figure you can name. They also hook up with Promise, a vampire - and I love what Thurman does with vampires. Their existence actually seems, well, logical, in an odd sort of way. I can’t go into too many details here because I don’t want to spoil it, but I can say that this book was a great payoff for the earlier books. 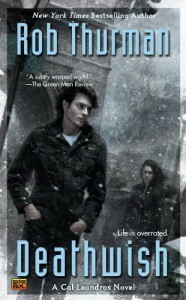 Cal is a tortured soul - I get that - but by the 2nd book I was getting a wee bit tired of the emo angst. I felt bad, though, because while I know he had every right to it, that it wasn’t just some “ohhhh...life is so dreary ...” kind of angst, it was sort of wearing on me. He did have a sardonic sense of humor, and that leavened the doom and gloom, and his heart was in the right place, for the most part, but it was starting to feel very tiresome. Niko, his brother who spends his entire life honing his skills to become the warrior he needs to be to protect his brother, had subsumed his entire being into that. I felt bad for him. Plus, Niko is hot - very hot:) By book 3, I was almost ready to close it down. I made it through the 3rd book, and zoomed into this one. What I really liked about this book is that the POV switches between Cal and Niko. I found I had a lot more sympathy and tolerance for Cal experiencing him as Niko does. Cal grew up a bit in this book too. He’s much more resolute and mature in his responses to what’s happening both around him and to others. The book starts out with a simple job - find out who’s watching Seamus, an old vampire acquaintance of Promise’s, but, as with the other books, quickly segues into a series of disasters, threats and other mayhem. We get to meet more creatures, some murderously deadly, others just your average everyday deadly, but all of them interesting. We get to find out exactly why the Auphe are so frikken’ interested in Cal, and we get to find out just what is between Ishiah & Robin. The best thing about this book is I finally got to understand Caliban more, because we could see him through Niko’s eyes, and that, for me, made a world of difference. I’m so very happy I made it to this book; now I don’t have to give on the series but instead can lose myself in the rest of the books.